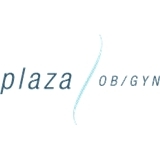 Plaza OB/GYN Associates & Binz Weight Loss Center (Houston) - Book Appointment Online! Our philosophy is to provide compassionate, state-of-the-art gynecological and obstetrical care for Houston women. Our practice operates on the belief that the most important part of delivering care is to address the patient's own needs. By listening to our patients and managing their concerns, we develop a long lasting, friendly partnership. We strive to provide leading edge women's health care. Please Note: If you are pregnant we can accept Medicaid under Amerigroup star, Texas Children, and Community Health Choice.